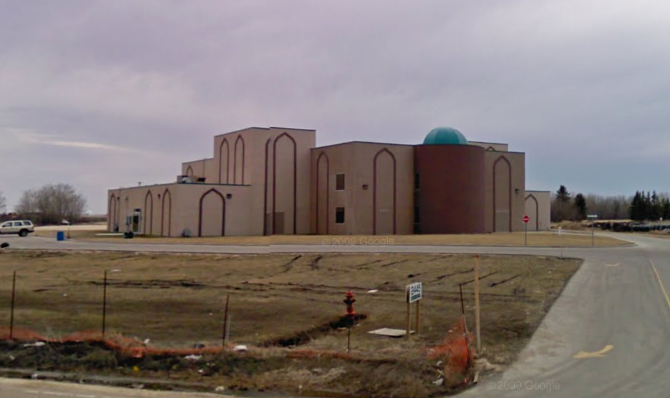 Over the last year, there’s been a heated feud at the Manitoba Islamic Association over who has control of the group’s executive. After a June meeting where one side took control of the MIA, the ousted president filed a claim wanting the clarity from the courts regarding who has rightful control. The other side filed a counter-claim, saying the political feud was sparked by actions outside the MIA’s constitution in January 2010, and prompted a “state of crisis” in the organization. This group believed the results of a by-election in June should stand. You can read the background of it here. A few days ago [decision released publicly today], Justice Perry Schulman of Manitoba’s Court of Queen’s Bench ruled that the ousted president, Dr. Nasseer Warriach, was lawfully elected in late 2009 and that his position as head of the group stands. I’m hoping the court’s ruling brings peace to the organization and its members. I wouldn’t be shocked, however, to see an appeal filed in short order. UPDATE: The Manitoba Muslim magazine published an article on the litigation – estimating that legal fees for both sides ranged between $50-70,000. Conflicts do happen in organizations, no organization is immune to that; MIA had it share in the past, however, most MIA conflicts were dealt with internally. This conflict, however, has spilled into the courts, media, police and the public in general in ways not experienced before. With this conflict, MIA has lost its innocence and the internal mutual trust seriously undermined. Going forward, things will not be the same in MIA. What has happened can’t be reversed, but once the tension subsides, a careful analysis need to be done, with the aim of identifying the root cause of this conflict and establishing preventative measures to avert the recurrences of similar conflicts. Key elements to any future reform should include the establishment of a mechanism of independent internal compliance review process to ensure that MIA affairs are conducted in accordance to the established rules and procedures, directions of the General Assembly, sound management practices and Islamic ethics. Further to this, internal mechanisms of conflict resolution, mediation and arbitration must be established. The MIA constitution needs to be revised and amended. PS — Sorry for the lack of updates in recent weeks. I have been swamped with work-related stuff.